To take a screenshot of your current window press “Alt” key and hold it down and press “PrtScrn” key. It will capture only the current window, not entire screen. PrtScrn key: You will find it on the top of arrow keys of your keyboard. 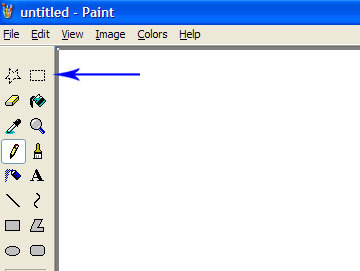 Now open “Paint” from the “Start” menu. Now press “Ctrl + v” (press “Ctrl” key hold it down and press “v”). 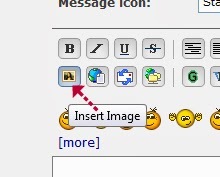 Now click on the “Select” tool (you will find it at the top of the toolbar that is located at the left side). With the “Select” tool select the area that you want to upload on the forum. If you made wrong selection then click anywhere on the image outside the selection, this will cancel your selection. Then select again correctly. Press “Ctrl + c”, it will copy your selection on the clipboard. Now press “Ctrl + n”, a confirmation box will appear with “Yes”, “No” and “Cancel”, press “No”. It will make a new instance of “Paint” window. Now press “Ctrl + v”, it will paste your image from clipboard. When you will paste the image it will be selected, to deselect the image click anywhere on the white area outside the selected image or press "Esc" button from your keyboard. Now move your mouse pointer at the right-bottom of the white page. You will see there a blue very small square, when you point your mouse pointer on it, the mouse pointer will change to “a two sided arrow”, this is called “Diagonal Resize Pointer” (see the images given below). Now click on it, hold it down and move your mouse pointer to reduce the white area. Now remove “Transaction ID” and “Email Address” using “Eraser” tool or “Brush” tool. Now click on the “File” from the “Menu Bar” then click “Save”, to save your screenshot on your hard disk. There are many other sites except these. So, signup at any one of image hosting websites. After registration upload your image to the “Image Hosting Website”. 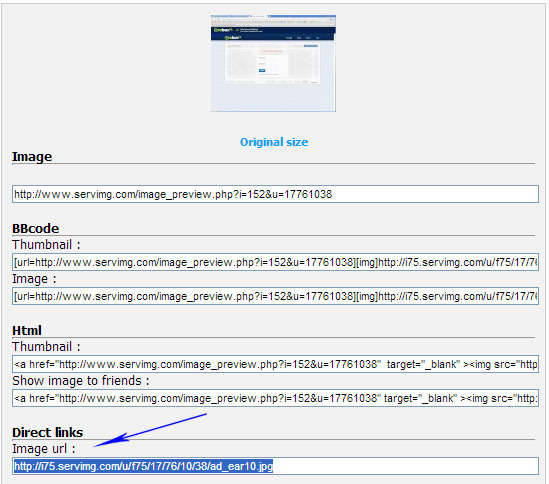 Now copy the “Direct Links” from the image hosting website as shown in the image given below. Now come to the forum and click on the “Insert Image” button. It will insert a tag as shown below. Now paste the link between the tag. Now click on “Post/Submit” button to finish your posting. Note: If you have any question, then feel free to submit your question here.